PIM-150-C (PN CS-D150) is a 15” industrial display that features a 10-point capacitive touchscreen. The 3mm tempered glass cover with black silk-screen ensures that the screen is water and steam resistant. The typical power consumption is 14W, while in standby mode CS-D150 uses around 2W, making it ideal for all kinds of applications. PIM-156-C (PN CS-D156) is a 15.6” industrial display that features a 10-point capacitive touchscreen. The 3mm tempered glass cover with black silk-screen ensures that the screen is water and steam resistant. The typical power consumption is 14W, while in standby mode CS-D156 uses around 2W, making it ideal for all kinds of applications. PIM-170-C (PN CS-D170) is a 17” industrial display that features a 10-point capacitive touchscreen. The 3mm tempered glass cover with black silk-screen ensures that the screen is water and steam resistant. The typical power consumption is 15W, while in standby mode CS-D170 uses around 2W, making it ideal for all kinds of applications. PIM-185-C (PN CS-D185) is an 18.5” industrial display that features a 10-point capacitive touchscreen. The 3mm tempered glass cover with black silk-screen ensures that the screen is water and steam resistant. The typical power consumption is 19W, while in standby mode CS-D185 uses around 2W, making it ideal for all kinds of applications. PIM-215-C (PN CS-D190) is a 19” industrial display that features a 10-point capacitive touchscreen. The 3mm tempered glass cover with black silk-screen ensures that the screen is water and steam resistant. The typical power consumption is 16W, while in standby mode CS-D190 uses around 2W, making it ideal for all kinds of applications. 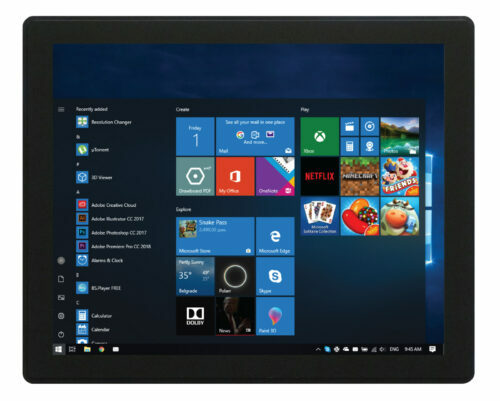 PIM-215-C (PN CS-D215) is a 21.5” industrial display that features a 10-point capacitive touchscreen. The 3mm tempered glass cover with black silk-screen ensures that the screen is water and steam resistant. The typical power consumption is 16W, while in standby mode CS-D215 uses around 2W, making it ideal for all kinds of applications. PIM-236-C (PN CS-D236) is a 23.6” industrial display that features a 10-point capacitive touchscreen. The 3mm tempered glass cover with black silk-screen ensures that the screen is water and steam resistant. The typical power consumption is 16W, while in standby mode CS-D236 uses around 2W, making it ideal for all kinds of applications. 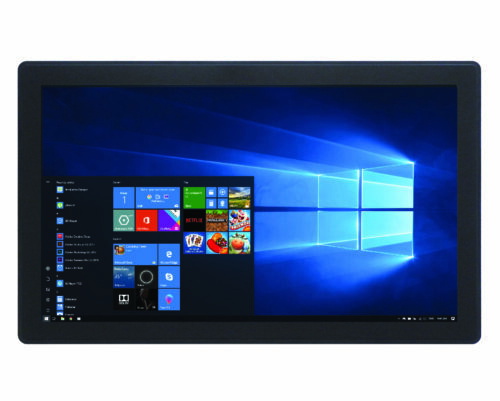 PIM-270-C (PN CS-D270) is a 27” industrial display that features a 10-point capacitive touchscreen. The 3mm tempered glass cover with black silk-screen ensures that the screen is water and steam resistant. The typical power consumption is 32W, while in standby mode CS-D270 uses around 2W, making it ideal for all kinds of applications.